There is nothing we enjoy more when cruising than meeting up with our designs and their owners. This past summer in Maine was great fun in this regard. 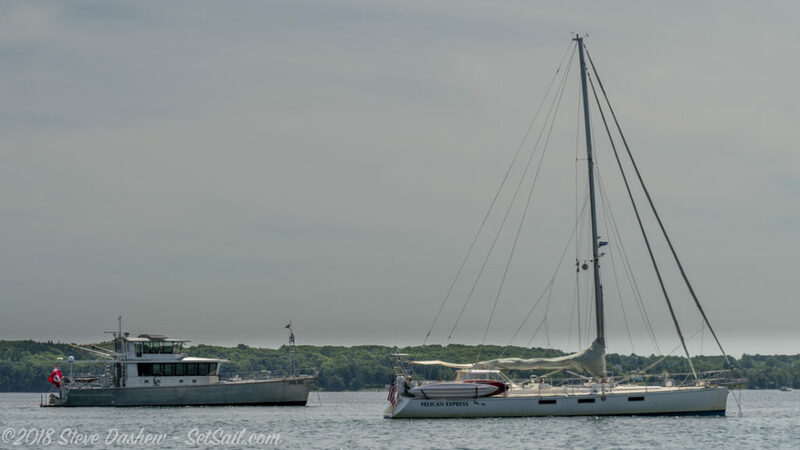 We met up with the Deerfoot 2-62 Diva above, now sailed by Christopher Wave and Jennifer King. 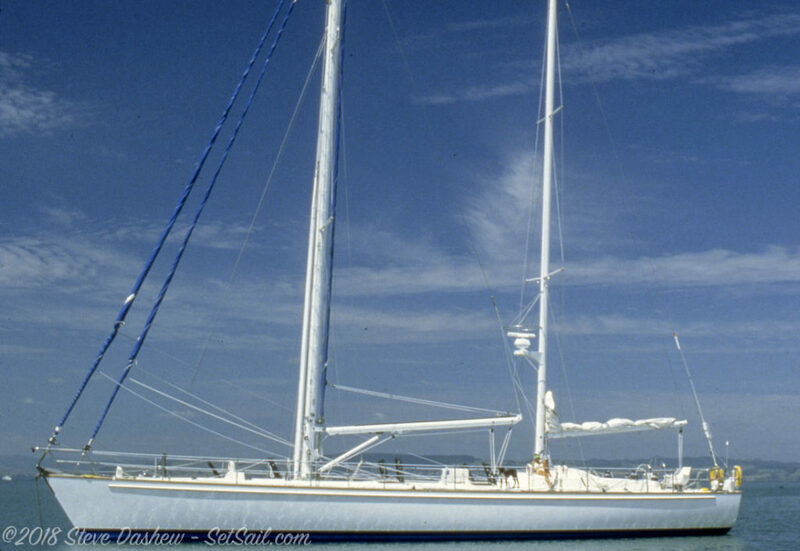 Jimmy and Cheryl Schmidt, late of the Deerfoot 70 Wakaroa, are our oldest clients. We first met in the Marquesas Islands in 1977. Jim keeps in shape and is now working on his planking time – which is up to five minutes. OK for most old duffers (but not in some circles). They sailed Wakaroa for more than 30 years. Close to 100,000 miles. They raised their two sons aboard, JP above, and Mike who wasn’t yet around when this was taken (sorry JP – we just had to use this photo). 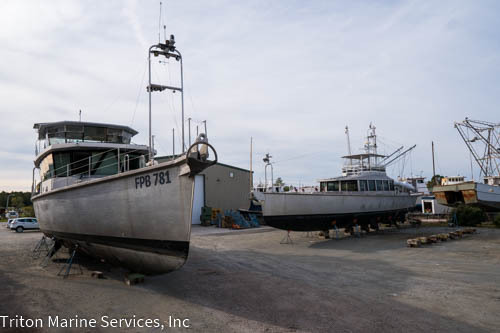 Cochise is currently anchored next to Carol and Mike Parker’s much traveled FPB 64 Avatar, at Triton Marine in Beaufort, NC. 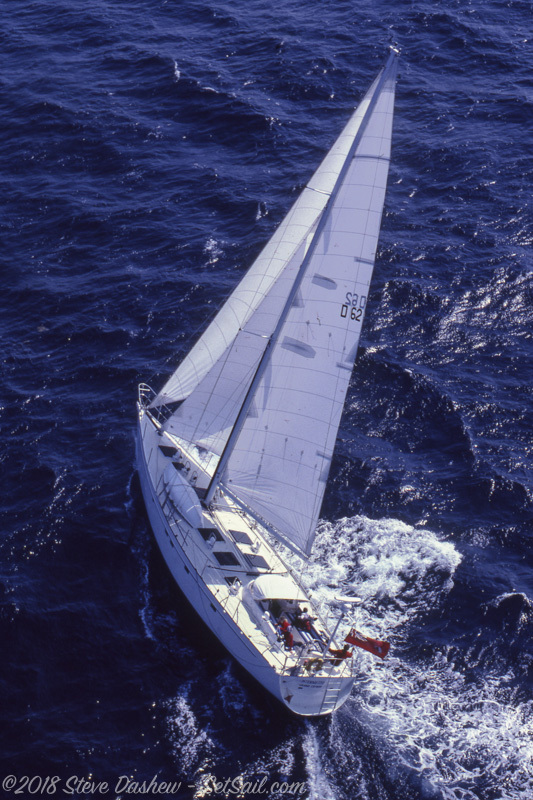 Carol and Mike are also the former owners of the Sundeer 64 cutter Raven. Carol is the finest photographer we know and an inspiration for us. Mike is a world class glider pilot with numerous international and national records. Mike was our inspiration for chasing glider records, albeit at significantly lower levels of difficulty. 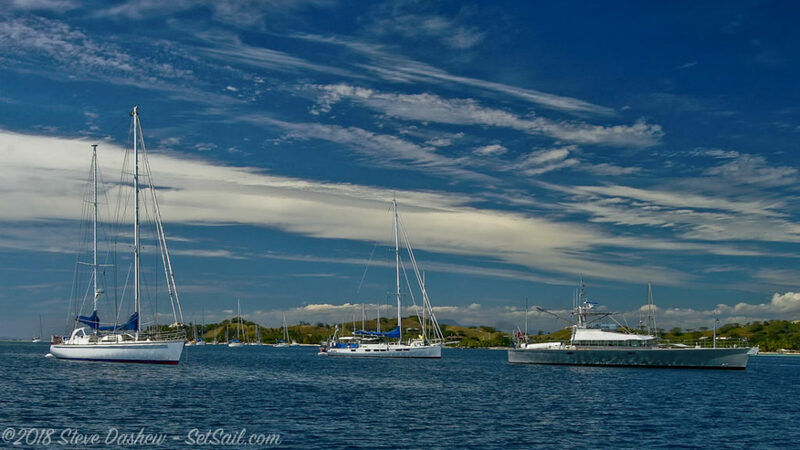 Cheryl, Jim, Carol, and Mike shared an anchorage with us in Fiji some years ago (above, along with FPB 83 Wind Horse). 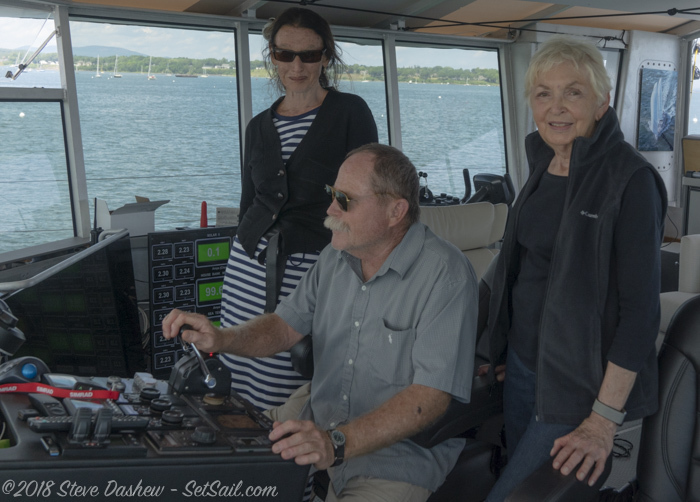 While anchored in Rockland, Maine this summer we were delighted to see Sundeer 60 Pelican Express with Bill and Jeane Crew aboard. They have put 100,000+ miles on Pelican Express since she was launched 20+ years ago, including several laps around the globe. It is wonderful to see them still enjoying their life afloat. We also love to hear what our floating family is up to. Stedem Wood sent us this photo of our own Intermezzo II moored nearby Stedem’s FPB 64 in Whangarei, New Zealand. We launched Intermezzo II in 1981, and it is good to see her still going strong after 37 years. 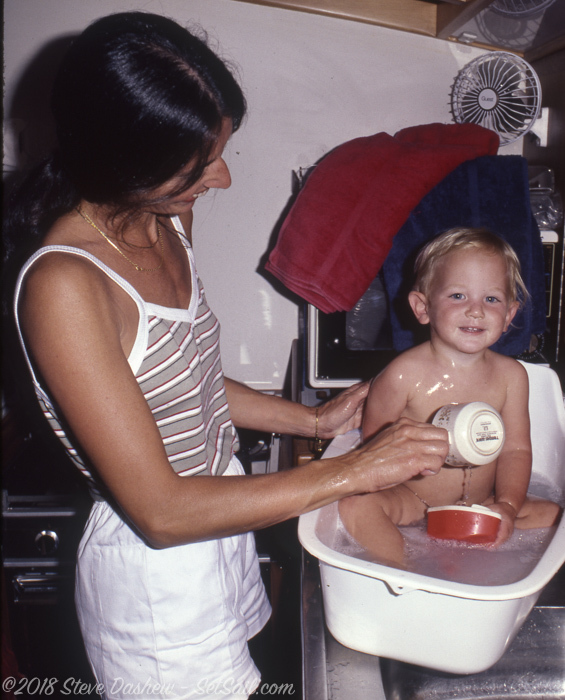 The photo above was shot in 1982 off Fort Lauderdale, Florida. If you have one of our yachts, shoot us a note from time to time and maybe some photos. We’d love to hear from you. 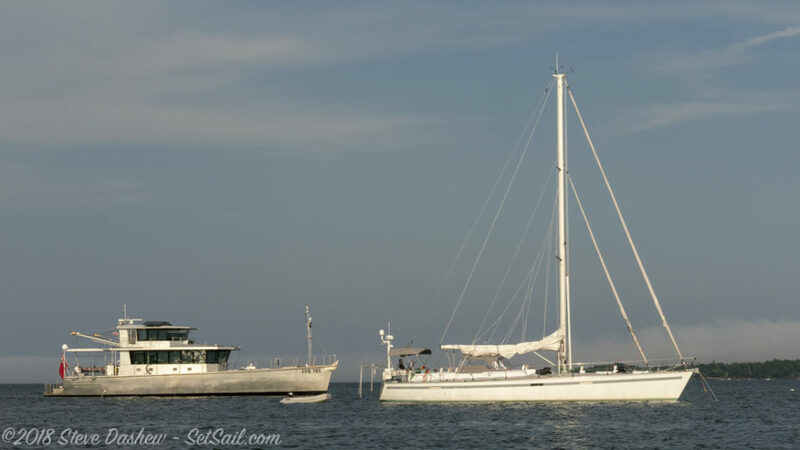 This entry was posted on Wednesday, November 28th, 2018 at 7:20 pm and is filed under Cruising Tales, Dashew Logs, Dashew Offshore, Dashew Offshore History, FPB 78, The Logs. Both comments and pings are currently closed.